There are few things more frightening than when you are involved in an auto accident. Everything happens so quickly that you may not even realize just what occurred. Your vehicle may be severely damaged, and you may have suffered injuries, minor or severe, that cause you to go to the hospital for medical treatment. In all of the confusion, your mind is racing as you try to figure out how you are going to pay for your medical care, what you will do for your family, if you can work again and who is responsible for the accident in the first place. It is at a time like this where you need the help of a car accident attorney, provided by Belal Hamideh Law. After your accident, you may find that you suffer from headaches not just from the accident but also from the stress of trying to deal with insurance companies and their lawyers. If the accident is due to the negligence of someone else, they are likely responsible for compensating you for your medical expenses and other expenses related to the accident. However, this means you will have to talk to and deal with insurance companies that want to do little and pay little to help you out. You may feel a great deal of anxiety as you worry about your bills getting paid now and in the future if you need continuous medical treatment. To help ease the stress you are feeling, you want to talk to a car accident attorney at Belal Hamideh Law. 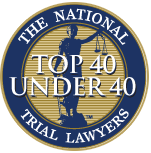 Cases like yours are what we specialize in, and we can provide you with all of the help and representation you need right now. We will take over talking to the insurance companies and their lawyers for you and make sure they provide you with a settlement that gives you the compensation you are entitled to. You will get the maximum settlement for your injuries so you will not have to worry about any long-term expenses you may face. 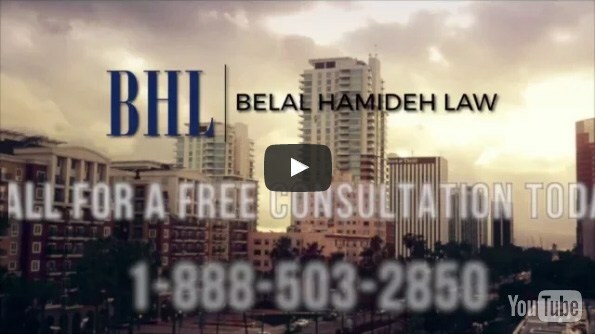 For the best car accident attorney that will do the best job for you, contact us at Belal Hamideh Law. You can contact our office by calling 888-503-2850 or by visiting our website at www.belalhamidehlaw.com and filling out the contact form on our site. We can help schedule an appointment for a no-cost consultation for you so that you can learn all that we can do to help you with your case.